Culture change is stripping back ingrained ways of doing things that don’t work – the layers of stuff, bad habits, out of date standards, processes, thoughts and systems that persist and that get in the way of development, growth and progress. Sometimes change is required, sometimes transformation. Choose between the two wisely. Change resolves the past. Transformation creates the future. Is your culture supporting your aspirations, dreams and goals? Culture and engagement is the most important issue organisations face around the world, according to Deloitte’s Global Human Capital Report, 2015. “Organisations that create a culture defined by meaningful work, deep employee engagement, job and organisational fit and strong leadership are outperforming their peers and will likely beat their competition in attracting top talent”. We assist our clients to take a conscious and intentional approach. Culture is a living thing. It is a leadership choice to actively cultivate it or leave it to chance. 82% of leaders say they believe that culture is a competitive advantage, yet fewer than 1 in 3 executives say they understand their organisations culture. Deloitte 2016. A fit for purpose, agile and aligned workforce who live and practice the organisations values, standards, understand their role in delivering the strategy, embrace the vision and represent the brand on a daily basis. 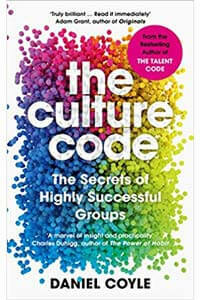 You will have a culture that is defined by its high engagement, performance, motivation and overall sense of wellbeing. The business will outperform the market, retain and attract top talent, have strong customer loyalty, be innovative and evolve ahead of peers and competitors. The MIM culture change programmes have resulted in 84% engagement = +25% vs. (UK average score). Chris Zook, co-author of The Founder’s Mentality, explains how the three elements of the Founder’s Mentality—an insurgent mission, a frontline obsession and an owner’s mindset—are key to driving sustained profitable growth.